​Prices for the mirrors do not include the lettering. Depending on the amount of wording and font the price varies. Beautiful statement piece with bronze beaded trim. This mirror is perfect as a "Welcome Sign" for any venue. *See our custom sign page for more information on having this mirror customized for your event. Price does not include greenery or flowers. Options are available to add this to your signage! This beautiful oval mirror is perfect as a "Welcome Sign" or "Signature Drink Sign". Size: 31" L x 24" W x 65 H"
This stand up mirror is great statement piece. It can be used for a wide variety of uses, It is shown here as a Wedding Program. Price does not include greenery. Options are available to add this to your signage! This mirror features an intricately designed frame and is prefect for displaying on the bar for a Signature Drink Sign, Hashtag Sign, etc. This is one of our most popular items! 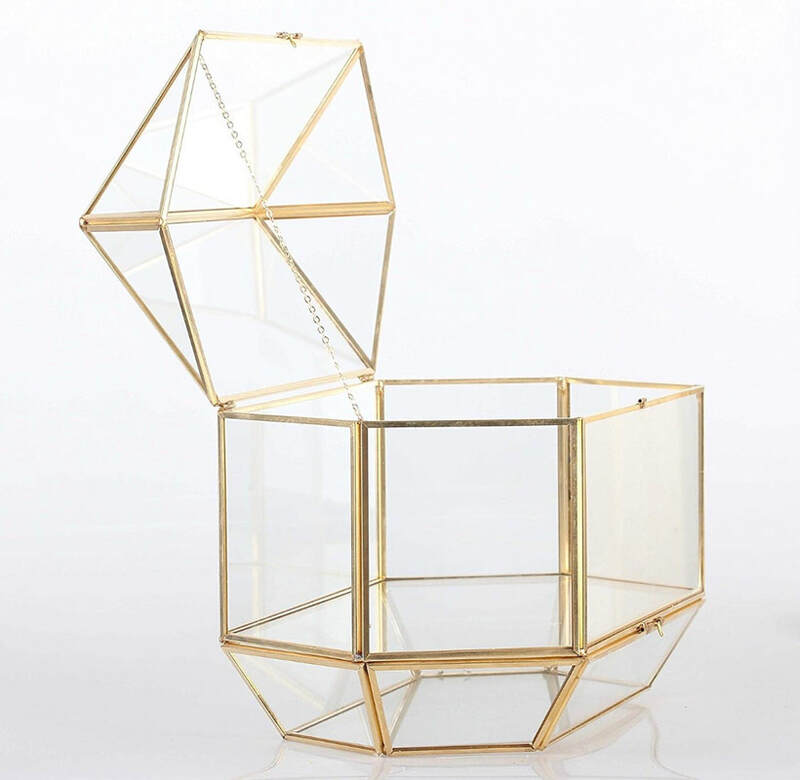 Perfect for Displaying your Signature Cocktail on the bar. Great for Welcome Sign, Seating Chart, etc. Perfect for a large seating chart display! *See our seating chart page for more information on having this mirror customized for your event. Price is for the card box only. Does not include greenery or flowers. Options are available to add this to your signage! Size: 9" x 13" x 7.2"
Price is for the card box only. Does not include greenery. Options are available to add this to your signage! ​Price does not include moss "F". 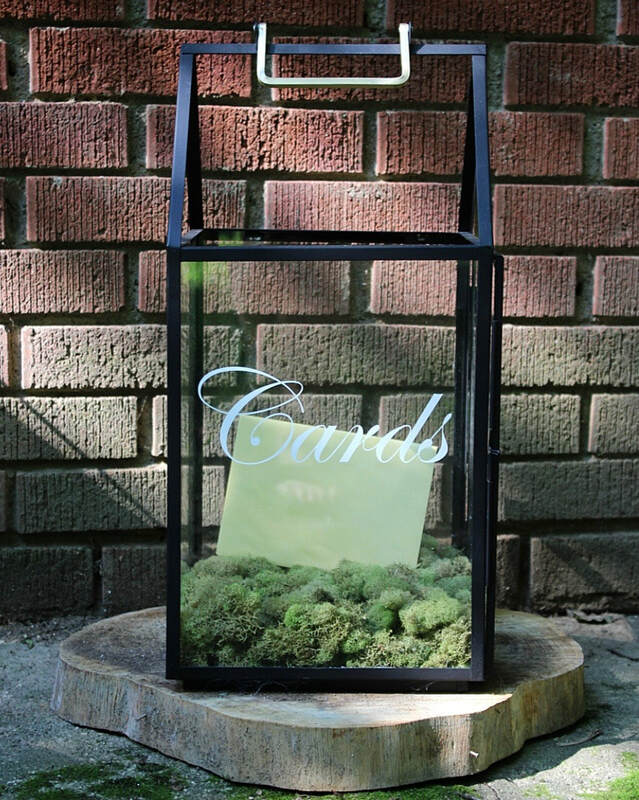 Options are available including moss letters and floral letters for an additional fee. Price is for the lantern rental only. Does not include greenery or flowers. Options are available to add flowers to the lantern! Size: 18.25L x 1.75W x 35.5H in. Featuring a carved scroll design, this chalkboard is great for event signage. Can be used for Welcome Sign, Sparklers Sign, Favors Sign, the possibilities are endless!